Baitcasting reels are marvels of mechanical engineering. These diminutive machines manage a vast array of baits, from petite plastics to slammer swimbaits on a wide variety of lines. They do so while remaining nearly bulletproof, and capable of weathering harsh use under demanding conditions. 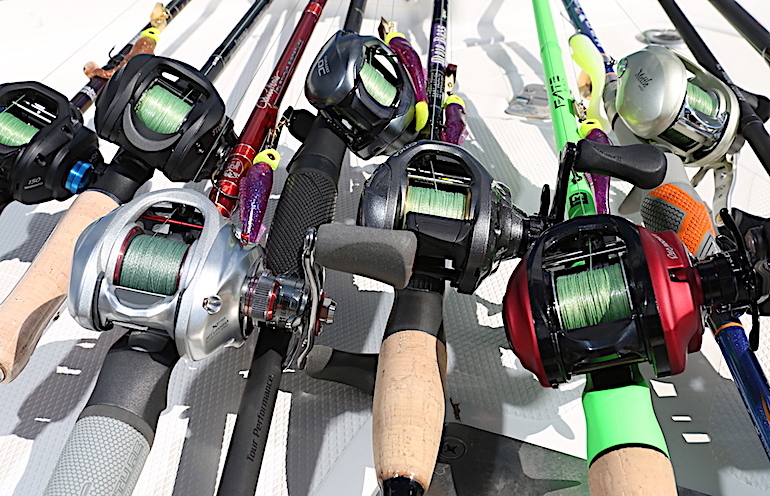 Likewise, contemporary casting rods benefit from decades of material science advancements. Their blanks are engineered supramolecularly: resins and carbon fibers are amalgamated on a nanotechnology level. Their componentry is equally impressive, as it is virtually indestructible — yet it remains unimaginably light. Together, these casting implements are capable of launching lures to impressive distances while delivering crisp sensitivity. After days of exhaustive testing (somebody had to do it, right? ), we reached these conclusions. The Rocket, fueled by 10.1:1 gearing is fast, really fast. This hungry cranker gulps line at an absurd 41-inches per turn. 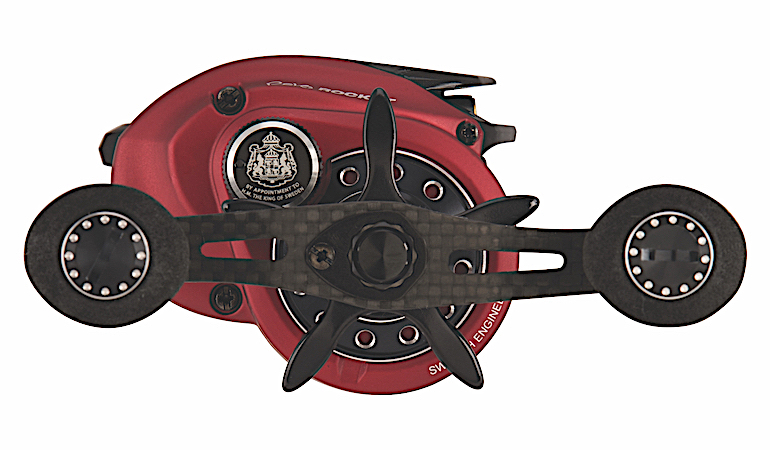 Testers were enamored with this reel’s hustle, letting you cover considerably more water while making substantially more casts per day than its more leisure counterparts. The Revo’s blistering retrieve will not be a drawback for those who opt for slower reels, as you can turn the handle slower for less pace. While you can slow this reel down, however, you cannot comfortably speed up a slower reel’s with exaggerated cranking. The Revo turns as smoothly as the best in the business. The drag has plenty of gristle, enough to grind the hardest charging bass to a halt or haul buried fish from the thickest slop. At $299, some will find the retail hard to swallow, however, if it helps you cash more tournament checks or catch more fish, the price is quickly forgotten. Hits: Blazing speed adds more casts to your day. Misses: The EVA knobs will be a bit too bulky for some. Our test team comprised of salty veterans of the fishing industry tested 51 rods and reels to find the best all-around and affordable baitcasting gear. See how our testers ranked them in the March issue of Game & Fish magazine, on newsstands now at local retailers. The 7’3” Z-Bone is Trey Kistler’s best offering to date, wowing everyone who touched it. The heart of the Z is the North Fork Composite LMX X-Ray blank, touted as possessing the highest strength-to-weight ratio in the industry. When casting this creation, you’re stunned by its agile demeanor. The medium-modified fast rod loads effortlessly and unloads without chatter or vibration — reflecting the rod’s optimized mechanical efficiency. 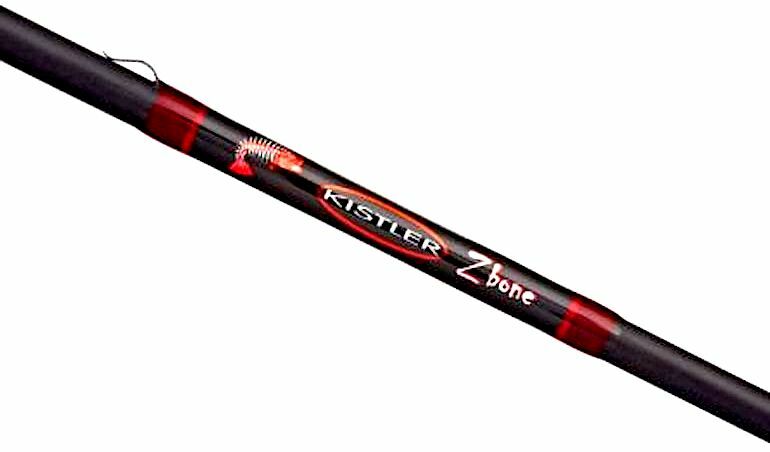 The Z is rated for 1/16- to 1/2-ounce baits on 6- to 12-pound mono or 15-pound braid. We feel its sweet spot in the 1/4- to 3/8-ounce area. The tip section is delightful, one which transfers bait and bottom data flawlessly to the user. The Grade A cork split-grip is shaped and sized smartly and contributes greatly to the rod’s clairvoyant sensitivity. Attention to quality of construction is seen in the nine running guides (plus the stripper guide and tip) which guarantee a symmetrical flexure along its length. Hits: Uncompromising performance and the best blank in the business. Misses: At $520, the Z-Bone is not for the weak-kneed.